After that things moved quick for Yoni - after DJ'ing for years, he teamed up with his friend Dj Goblin to form the Children of the doc project which later changed name to Psysex - together they released 3 critically-acclaimed full length albums on HOM-Mega Productions, and played a big part in establishing Israel as one of the most important trance-countries on the globe. After several years of intense touring, playing at some of the biggest parties and festivals worldwide, Yoni's taste moved more and more towards the slower, groovier side of music though, and from 2006 he is no longer a part of the Psysex project. Instead he has started 2 new projects: Schatsi, which is an electro-project, already getting featured on releases from Hadshot and Mylo's Breastfed Recordings, while being spinned by the likes of Jhon Digweed, and of course, Ace Ventura. Yoni is fond of all major sides of the progressive scene, and it shines through in his Ace ventura project, which best can be described as deep, tribal and pumping progressive psytrance - pure dynamite on the dance floor. 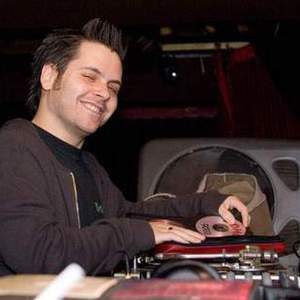 Despite being a relatively new project, Ace Ventura has already toured extensivley around the globe, and appeared on releases from Flow, Domo, Echoes, Blue tunes, Spintwist, HOM-Mega Productions and of course Iboga Records, while being remixed by Zen Mechanics, Perfect Stranger, Aerospace, Sensient, Khainz, Peter Gun, Gaudium and more. Last year he compiled the 1st progressive compilation on famed fullon-trance label HOM-Mega Productions - New Order, featuring tracks from the best artists the progressive scene has to offer. Official work on the sequel, New order 2, has begun as well. Release date is planned for early 2009. On september 28th, 2007 the debut Ace Ventura album, Rebirth was finally released on Iboga Records. It features 9 tracks and includes collaborations with Liquid Soul, Intelabeam and Lish. In may 2008 Ace Ventura won the Best Psy-Trance artist award in the first Beatport music awards contest, as voted by the users of Beatport. Ace ventura's remix album, Re:boot, was finally released in november 2008 on Iboga Records. The double album includes names such as Perfect Stranger, Zen Mechanics, Liquid Soul, Bluetech and many more. Coming next is chapter two in the New order series, out early 2009 on HOM-Mega Productions.